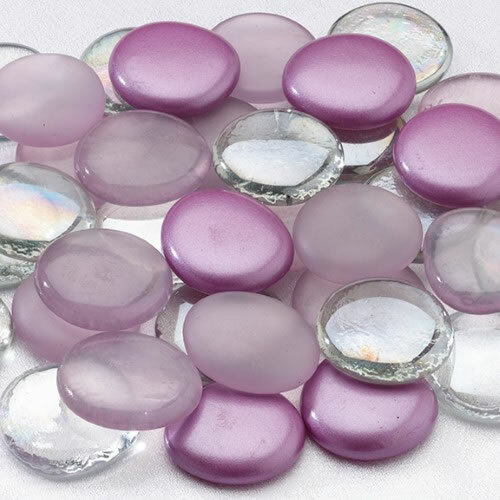 Our Glass Signing Stones - Purple mixed. These colorful purple mixed signing stones are a unique alternative to the traditional guest book. There are approximately 45 stones for signing. Signing pen is not included -- a permanent fine or medium point marking pen is recommended. Display stones by the vase. Guests may pick a stone and write their names or a small message onto the stone and place it into the vase. The signed stones and the vase make an attractive home decoration and a memorable keepsake of the attending guests. Stones measure 38-40 mm. Also available in aqua, gold, green, pink and silver.